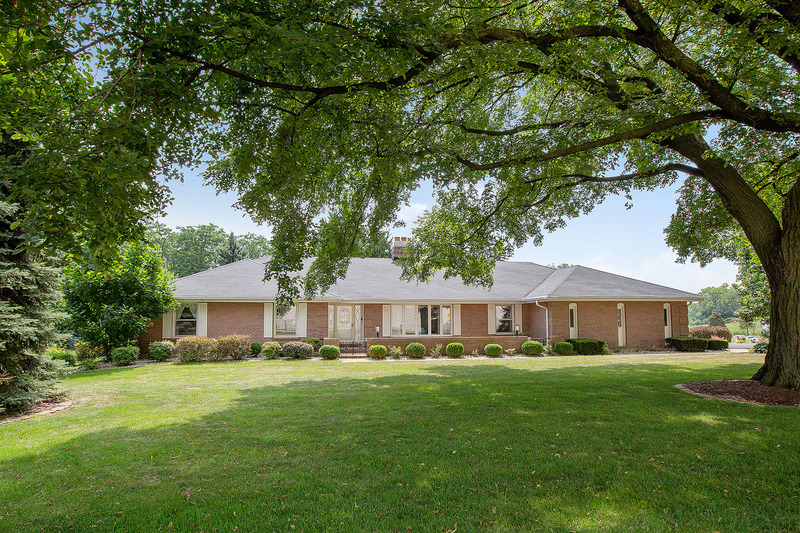 Nestled on almost an acre, this custom, brick RANCH offers impressive square footage on two finished levels. Formal living room and dining rooms. Spacious family room with fireplace. Large kitchen with ample cabinet and counter space. large master suite with private bathroom and fireplace. Enormous basement offers room for recreation, gaming, home office, wet bar, second kitchen and more. Resort like grounds with in-ground swimming pool and views of a serene pond. Adjacent acre of land also available for sale and would make total land of approximately 2 acres! Surveys available for review. Whole house generator. Private setting yet the convenience of easy accessibility to shopping, dining, expressway access, parks and schools. Schedule your showing today!